Master the art of the pour! 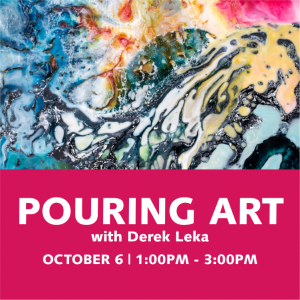 Artist Derek Leka will demonstrate step by step how to have a successful acrylic pour, from prepping your surface to mixing the right ratio of paint to pouring medium. Come in and make something incredible!